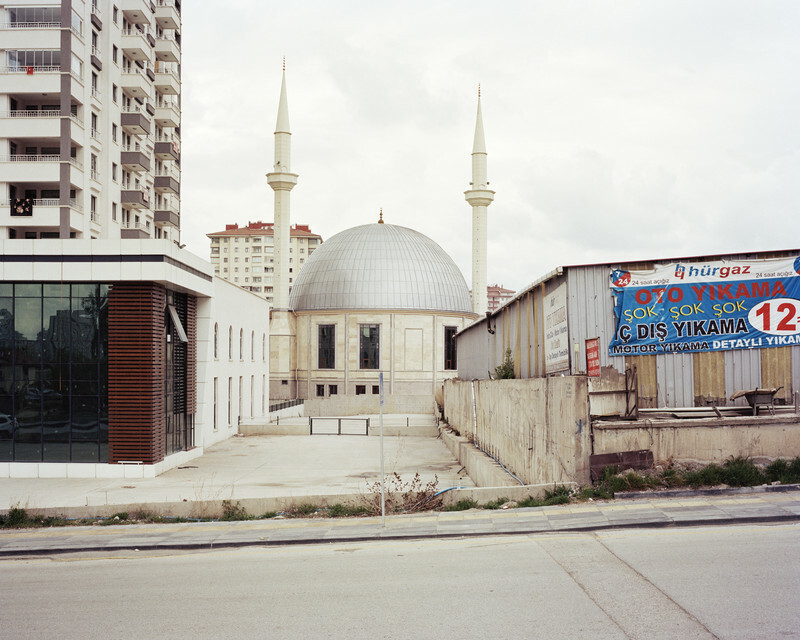 Brave New Turkey is based on a conceptual approach to documenting newly built mosques in a Neo-Ottoman-Style in the urban landscape of Ankara and Istanbul. 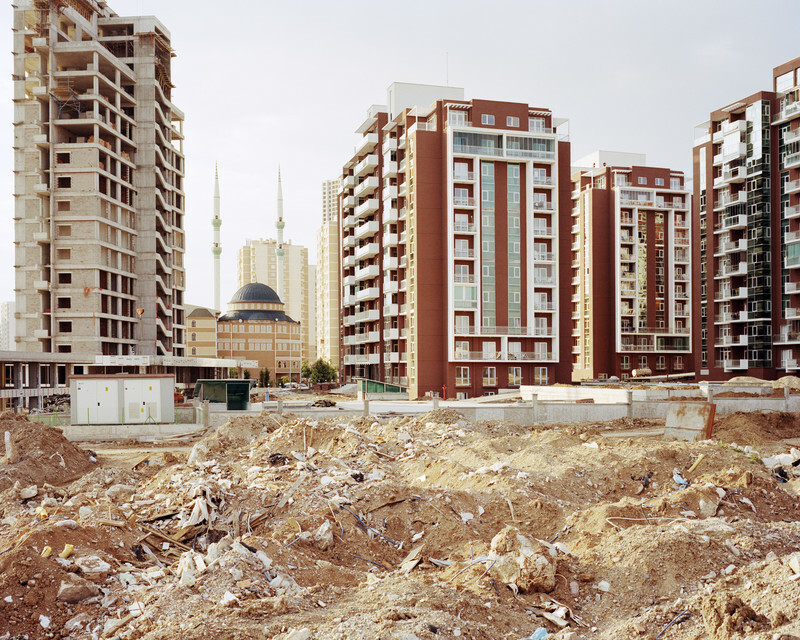 Since 2015, Norman Behrendt has regularly travelled to Turkey and visited the sprawling suburban districts of both cities. These rapidly built, endless suburban high-rise developments are a manifestation of Turkey’s economic boom. Along with massive housing construction has come a second massive construction project: mosques. Behrendt’s work reflects this phenomenon as a symbol of change and power that reaches beyond national borders. Returning Turkey to the glories and origins of its Ottoman past and ending Atatürk’s secular constitution has been one of the primary goals of Recep Erdoğan throughout his long rule of Turkey since 2003, first as prime minister and now as president with growing executive powers. Thanks to the country’s recent economic boom, the AKP, Erdoğan’s party, has improved healthcare, urban infrastructure and prosperity, but on the other hand has also made control of religious affairs a priority. The Diyanet (Directorate for Religious Affairs) fulfills this role and helps to legitimize the religious backswing of Turkey. In less than a decade, its budget has quadrupled to over $2 billion per year, and it employs over 120,000 people, making it one of Turkey’s largest institutions — bigger than the Ministry of Interior. In recent years the Diyanet has become a political instrument for the government to reshape Turkey and intensify control over the people. The Diyanet is the main investor for thousands of the newly built mosques in Turkey and abroad. As most of them are built in a Neo-Ottoman style with their distinctive domes and minarets, they follow precisely the architectural tradition of Mimar Sinan (1490 - 1588), the master of classical Ottoman architecture. Since 1987, the number of mosques in Turkey has grown from 60,000 to more than 85,000 in 2013, an increase of almost 1,000 mosques per annum. The newly constructed mosques attest the evident political influence on urban planning, but more importantly on Turkish society. Brave New Turkey is less about architecture in a classical sense, but rather how architecture reflects power and how ideologies are manifested in it. 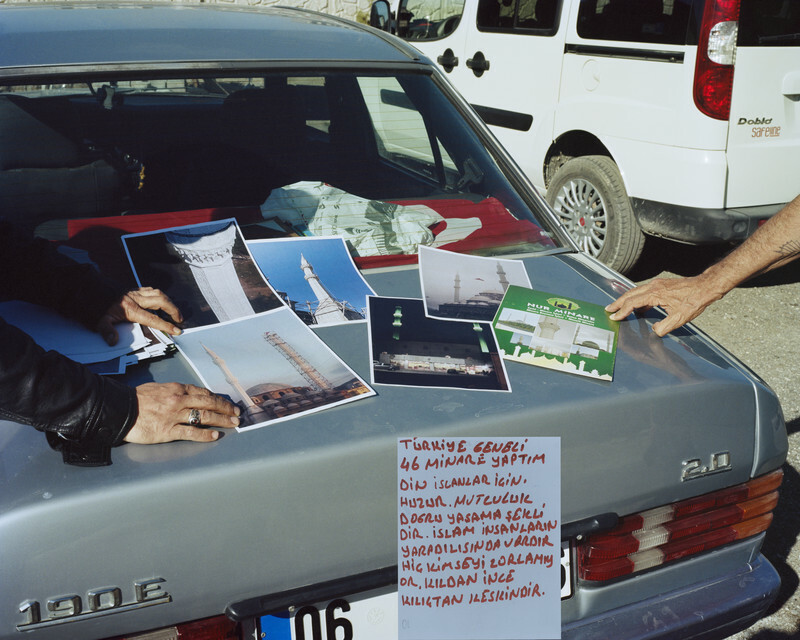 It reflects a newly tied compound of religious and cultural identity, against the backdrop of a constant exclusion of minorities, a reckless fight against those whose convictions are different and an unresolved question of what is Turkish identity?